On behalf of the University of Washington six Health Sciences Schools and the Magnuson Scholar Program, I am pleased to announce the 2019 – 2020 Magnuson Scholars. Each scholar was nominated by their respective Health Sciences School on the basis of outstanding academic performance and potential contributions to research in the health sciences. We appreciate your support of these scholars and our efforts to fully recognize their achievements while acknowledging Warren G. Magnuson’s extraordinary public service career. Laquita M. Grissett is a first-generation college student, born in a small rural town in South Carolina. 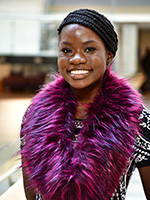 While majoring in Biological Sciences at the University of South Carolina Laquita was accepted into the lab of Dr. Johannes Stratmann where she conducted research throughout all four years of her undergraduate education for which she was awarded five fellowships. Laquita’s goal as a graduate student and in her future academic career is to amalgamate biomedical research and student outreach to encourage the next generation of scientists and promote scientific literacy with a particular emphasis on underrepresented students. Laquita is committed to improving the nation’s health through biomedical research. As a future academic researcher, she aims to contribute to the field of head and neck cancer and investigate the link between oral and systemic diseases. Ai Phuong Tong is a third-year medical student who will be expanding for one year to conduct research on how the human brain processes sensory and motor information. Ai Phuong intends to study complex neuronal interactions in large populations of neurons to better understand cortical information processing and human behavior. Currently, Ai Phuong’s long-term career goal is to become a physician-scientist who specializes in the interrogation, diagnosis, and surgical treatment of disorders of the central and peripheral nervous system. To this end, she intends to complete specialized training in a neurosurgery or neuroradiology residency program after medical school. 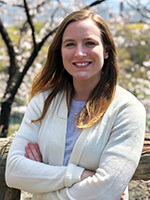 After residency, she aims to subspecialize through a fellowship to specifically help restore function in patients with treatment-resistant neurologic disorders, such as epilepsy, chronic pain, movement disorders, and neuropsychiatric disorders. She has a special interest in developing new technologies to interrogate local circuit neural activity on the timescale of spontaneous fluctuations. According to Jeffrey G. Ojemann M.D., a Professor of Neurological Surgery, “[Ai Phuong] has an aptitude for integrating concepts and ideas from diverse fields including biomedical engineering and computational neuroscience, as well as from various clinical specialties including neurosurgery, neurology, anesthesiology, and radiology. 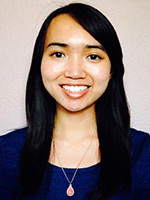 She demonstrates a dedication to, and capacity for, the advancement of technologies to improve brain health that is exceptional for her level of training and degree focus.” Ai Phuong credits her achievements to her parents and her current and past mentors who have all helped shape her curiosity for science and dedication to collaborative academic research. 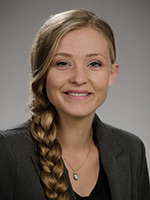 Alexi Vasbinder is a third-year student in the Doctor of Philosophy in Nursing Science program. Alexi’s dissertation research aims to identify molecular biomarkers to predict fatigue and cardiotoxicity as side effects of cancer treatment. Alexi intends to become a principal investigator and faculty member in a research-intensive academic setting, after a period of post-doctoral study. She has already secured multiple grants and fellowships to support her current research efforts. Alexi is poised to become a leading researcher in her field of nursing sciences through cutting-edge translational medicine. Joseph’s long-term research goal is to understand the effects of early life exposure to environmental chemicals on the delayed onset of human diseases such as diabetes and metabolic syndrome, and design novel therapeutic interventions to treat diabetes in vulnerable populations. Diabetes and other metabolic diseases are debilitating and costly chronic conditions with increasing prevalence in children and underserved populations. It is recognized that diabetes is associated with poor diet, sedentary lifestyle, genetics, gut microbiome, and other factors, and early life exposure to environmental chemicals is increasingly acknowledged as a critical contributor to the pathogenesis of disease. 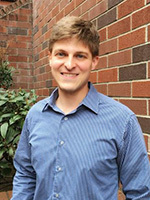 His current research in the Environmental Toxicology doctoral program focuses on understanding how early life exposures to toxic environmental chemicals modify the developmental trajectory of the gut microbiome, ultimately impacting adult health. After graduating from the Environmental Toxicology doctoral program, Joe wants to pursue a career as a toxicologist. Additionally he hopes to be a professor at a university, where he could have the opportunity to teach and/or mentor students, and operate a research laboratory to investigate the interaction of environmental chemicals, nutrition, and development on metabolic disorders, such as diabetes, obesity, and non-alcoholic fatty liver disease. As a policy practitioner who has committed to implementing long-term care policies for older adults with dementia in South Korea and as a social worker who has spent over 5 years in practice with older adults, Youngjun Choi has dreamed of improving the health and quality of life of older adults. 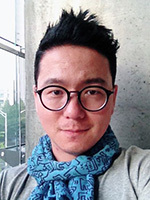 Youngjun’s ultimate career goal is to obtain a position as a research faculty member at a prestigious university and to pursue federal funding for population health studies to examine protective factors for older adults’ health and well-being as well as teaching classes on aging, research methods, social policy, and social justice. His dissertation project aims to broaden understandings in barriers to accessing information and communication technologies (ICTs) and the relationship between psychosocial wellbeing and use of ICTs among older adults.